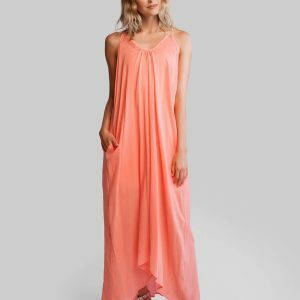 Cut from airy and crinkled cotton gauze, this dress is airy and light with hidden side zipper and ties, for those who prefer a more fitted silhouette. Wear it at the beach or a night out under the stars. perfect for Spa days and long walks on the beach.